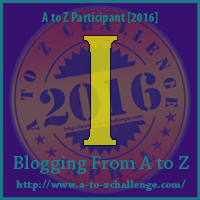 Hello and welcome to a new week at the A to Z Challenge. Today is the letter I. 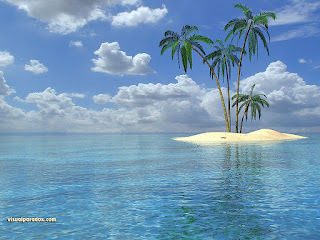 Island starts with the letter I and the Hawaiian Islands are my favorite. 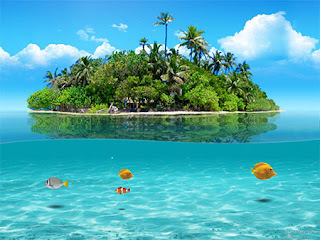 I know the above picture is not of Hawaii, but can you imagine staying and relaxing on this island? It would be so peaceful to be by yourself and relax. Oh, one can dream right? The island life would be awesome. To wake up to these beautiful, clear, blue waters everyday. Go snorkeling and see color fish would be so fun. I visited Hawaii for the first time in 2009. I did all the tourist attractions I could in 5 days. I definitely will be going back and hope to visit more beaches and see more of these images. 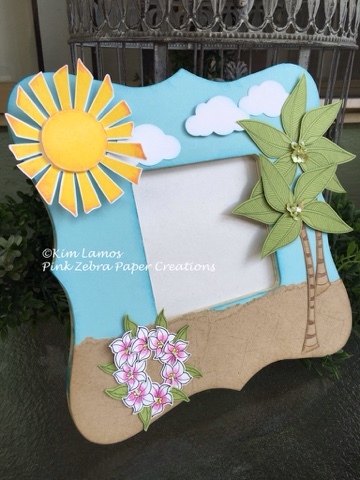 I am going to mixed it up today and share with you a frame I created, that will be great to have when I make that relaxing Hawaii trip. The frame is one I got at my local craft store for cheap. I covered the top part with a piece of Pool Play Cardstock and a strip of Oatmeal Cookie across the bottom, that I have distressed and torn for a more sandy look. I also used Beach Breeze ink to distress the outside and inside of the frame. I then stamped all of my elements. The sun is The Light ATS stamped with Lemon Drop and Citrus Cooler Ink. I stamped it twice and fussy cut the middle and added it with foam squares. The palm tree is from the "Tickled Pink" stamp set, which was the March Bloom Box stamp set which is not available to purchase until July. I stamped the tree trunk with Hazelnut Blend ink on Oatmeal Cookie Cardstock and the leaves with Kiwi Slice Ink on Lemon Grass Cardstock. I then stamped the flowers for the lei from the same stamp set with Black Licorice ink on Whip Cream Cardstock. The leaves are stamped on Lemon Grass with Kiwi Slice ink. I colored the flowers with colored pencils. All pieces are fussy cut and the flowers were strung on a piece of Whip Cream Thread. I then adhered them to the frame, spreading them out like a lei. Lastly, I die cut the clouds from the die set Cloud Dreams, distressed with Beach Breeze ink. I added some Journey Sequins- Bloom Time to the middle of the palm tree. Enjoy! Very nice frame :) I've never been to Hawaii, but heard it is very pretty over there. Hope you get back soon. This is a great idea to embellish a frame with FSJ products. It turned out amazing. Now I want to go to the beach too.